Country style Ranchette with lots of modern upgrades. 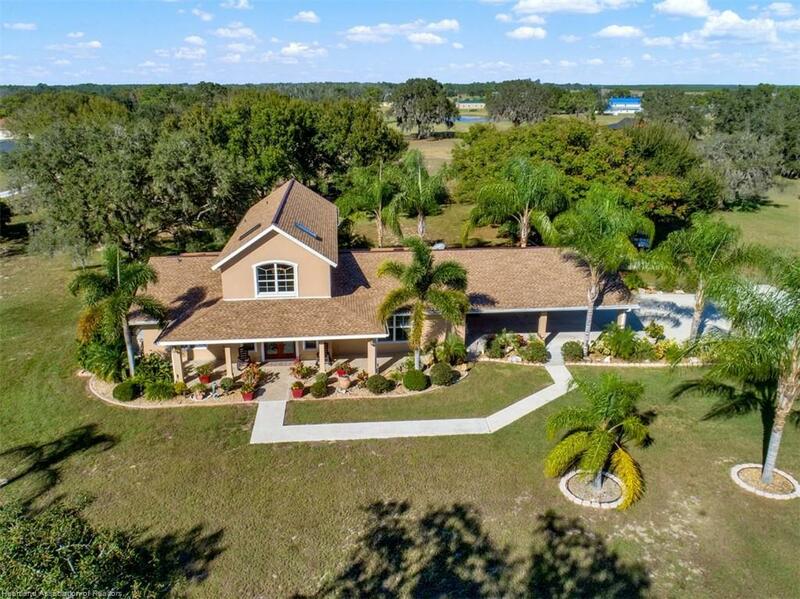 This home has a lot of WOW factor and is perfect for a horse lover or someone just wanting some room to roam. Property has an incredible carport, that is more like a pole barn. Imagine having all your guest over and entertaining here! Home features 3 bedrooms, 3 full bathrooms. Upstairs master suite has a 17x17 open covered porch overlooking the gorgeous backyard. Master bath boast a large walk in shower and separate jet tub. It truly feels like a Florida get away oasis. Downstairs features a formal living room/foyer, family room with fireplace, upgraded kitchen with raised maple cabinets and granite counter tops, dining room and a laundry room that makes you want to do laundry! Walk out to the rear covered open porch. Land features rear acreage is fenced and ready for your animals, there is a firepit under the Majestic Oak trees and lots of other fruit trees. There is an additional shed/workshop too. This is a must see property!